iOS 11 beta version was out 2-3 months before for testing. But now After the launch of iPhone 8, 8 Plus and iPhone X, iOS 11 is also official, and now it’s started rolling out to iPhones and iPads. There has been a various upgrade on iOS 11 over iOS 10. Here you will get to know Top 10 iOS 11 features for iPhone and iPad. 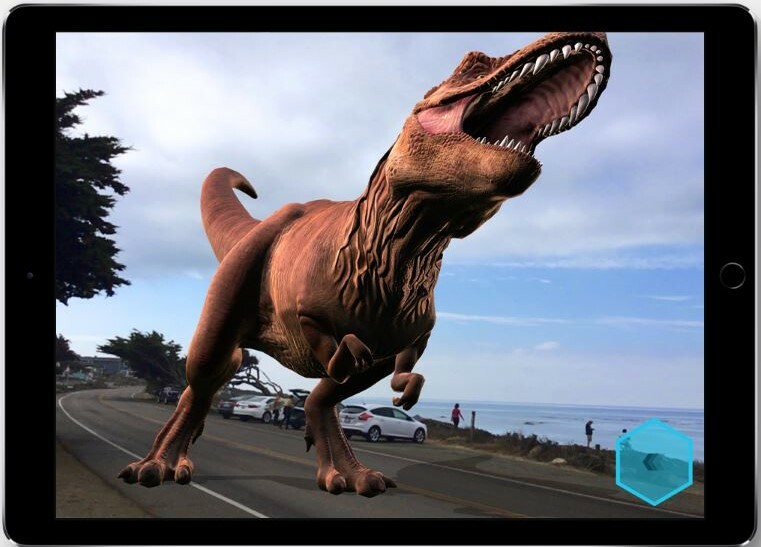 It is one of the best features of iOS 11 where you get to experience the Augmented Reality in Games and Apps. AR was first seen in Lenovo Phab 2 Plus. With the help of latest AR technology, you can digitally redecorate your home, explore a city you’ve never visited and you can do anything you want it’s beyond the limit. Just try it, and you will know what AR can do. 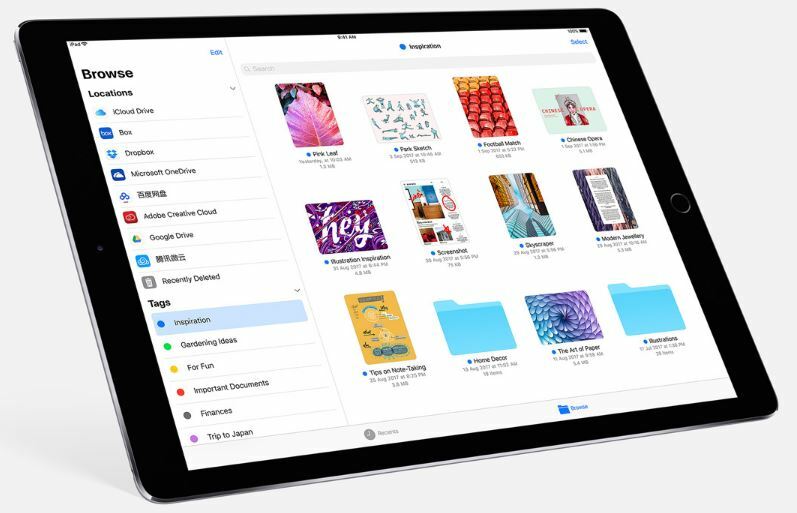 Moving to the next in iOS 11 all-new file explorer has embedded to iPhones and iPads. This file app is capable of doing all the operation where you can Browse, search and organize all your files in one place. You will also get the shortcut access to iCloud, Box, Dropbox, OneDrive, Google Drive, etc. Are you enjoying reading Top 10 iOS 11 features? iOS 11 has better memory management which helps the iPhone & iPad in Multitasking feature. It lets you open the second app directly from the Dock. You can work on both the App simultaneously in two views as Slide over & Split View. You can resize, move the App that suits you. Apple has redesigned the App Store from the ground up. Inside new App store, you will get to see must-read stories, expert recommendations, carefully crafted lists, and a new way to find your next favorite App or Game. You will also get to see Tips and Tricks page where you can learn various things. 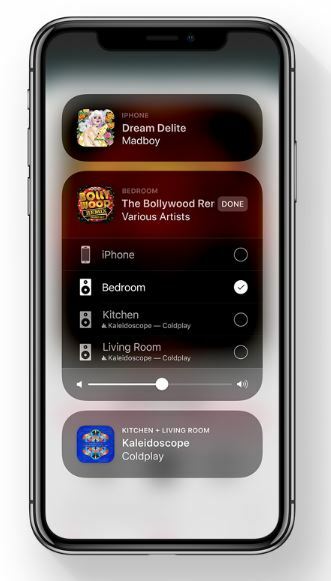 AirPlay 2 lets you control all the Audio systems in your house using iPhone and iPad.You can play songs at two different places at the same time. You can control volume, sync, pause, play and other music control features. The new dock system is for iPads where you can switch between Apps from any screen with just swipe. You can add your favorite Apps on the Dock to open them from any screen. Recent Apps appear on the right side of the Dock. In iOS 11 you can customise the redesigned control center so you can take advantage of various functions with just a tap. 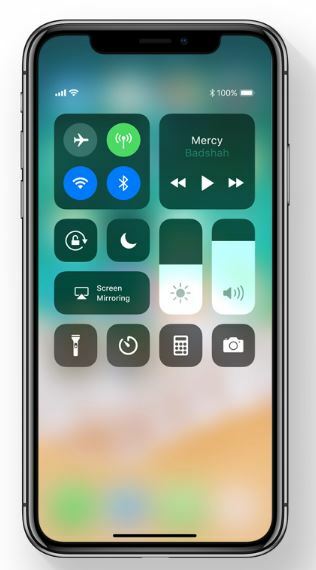 You can change the brightness, Add 3D Touch, Add Home control in Control center according to yourself. 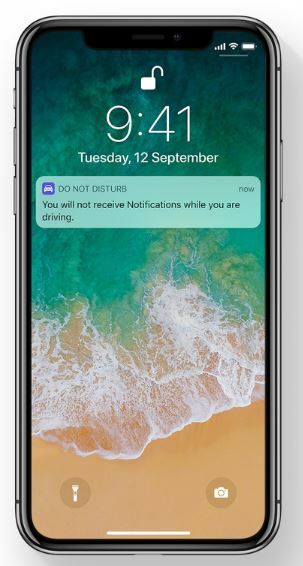 In iOS 11 your iPhone can sense when you are driving, and it will keep you from being distracted by calls and notifications. The sender will be automatically notified that you’re driving. This function is beneficial for everyone. Whenever you buy a new iPhone or iPad, you don’t have to worry about transferring all of your important data from another iOS device. 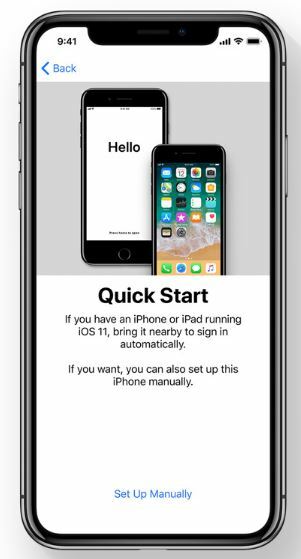 You have just to hold your new iPhone or iPad near the iOS device from where you want to transfer data; the new device will automatically sign in with your Apple ID. On the new iPhone or iPad personal settings, preference and content will be quickly and securely imported. In iPad, you can move text, photos, and files from app to another with just drag and drop. For example, you are accessing two apps at a time, and you can transfer photos from one app to another app by just dragging and dropping at the destination. So, these are the Top 10 iOS 11 features for iPhones and iPads. This is not the end of features there are lot more if you want to see you can visit Apple web page. Stay connected to YTECHB for latest Tech News, Mobile Tricks, and Tips, Telecom News, Accessories, Mobile Reviews and much more. Like our page on Facebook, Follow us on Twitter, and Subscribe our channel on YouTube @YTECHB. If you have any questions regarding Top 10 iOS 11 features, ask by using #YTECHB in the comment section.